Ladro recognises the importance of providing gluten free options, and can now adjust their menus to be entirely gluten free. Ladro is consistently written up as having some of the best traditional style pizza in Melbourne. Please advise waiting staff about your gluten free requirements, and they will be happy to discuss the selections available. There's a gluten free pizza range, cooked in the woodfired pizza oven. Gluten free pizza bases are made on the premises in a separate area in the kitchen. Utensils and benches are thoroughly cleaned, and a special board and grease proof paper are used. The kitchen staff are gluten free savvy and understand contamination issues. Plenty of other menu options are available including risottos, entrees, mains and desserts. Where possible, sustainable food suppliers are sourced. Ladro even makes their own honey on their rooftop! 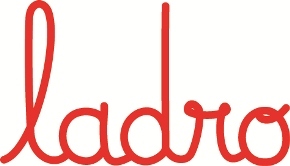 Fully licensed, Ladro is a vibrant Italian restaurant, and the perfect setting for an intimate meal or family/friends get-together. Gluten free functions can be arranged, so contact the friendly staff to discuss your requirements. Brunch is now a weekend option, and gluten free selections include the popular gluten free breakfast pizza, plus gluten free bread with all of the dishes. With attention give to being sustainable the restaurant compost 100% of their organic waste, and gives it away to community gardens, etc. Customers can even purchase a bag for just $2! Ladro also has a restaurant at 224 Gertrude St, Fitzroy. Ph:(03) 9415 7575. Open Mon-Thurs 6pm until late, Fri-Sat 5.30pm until late, Sun 12pm-3pm, 5.30pm until late. See Ladro website for more details.